Summer is BY FAR my favourite season. I think everyone's mood and life is lifted and everyone seems a lot happier. In summer I wear very minimal makeup. I like to go for a natural, dewy and illuminated look rather than full coverage, heavy makeup. My first essential has to be the Max Factor Skin Luminizer foundation. I think this foundation is spring and summer appropriate as it really adds that glow and radiance to your skin. My shade is in light ivory. I will be doing a full review on this product very soon so stay tuned for that coming up!! 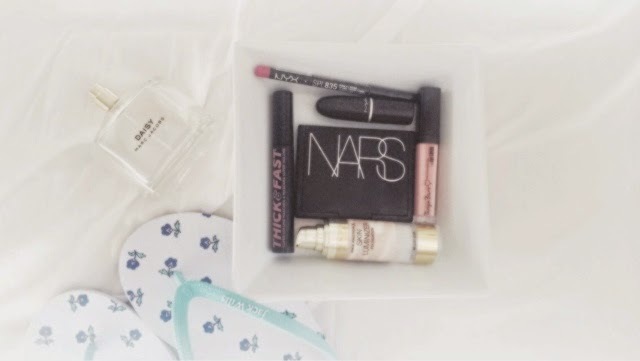 The next core essential for summer is the Nars Laguna Bronzer. I wear this every season of the year but I think it looks gorgeous with very minimal makeup. It really helps to define and lift your cheek bones. I think bronzing your skin is great in summer because it gives your skin that sunkissed effect. I love using this bronzer when I am abroad. I also thoroughly enjoy using the Nars Copacabana illuminator in summer. I think it looks gorgeous mixed in with your foundation or on tops of the cheek bones, on the nose, chin and cupids bow. Copacabana is my staple when I am holiday abroad. Moving onto mascara, I love the Soap and Glory Thick and Fast mascara. I feel that on minimal makeup days your eyes can look quite lost without a good mascara. I love this one because it really adds volume and thickness to the root of the mascara making your eyelashes look more voluminous. I don't think makeup is complete without something on your lips. Whether it be a balm, gloss or lipstick I think having some product on your lips really completes the look. I love the NYX lip liner in Rose. This is not for the faint hearted, but I think it is great colour for summer. It is very comparable with a Mac lipstick that I own called Candy Yum Yum. I also really like all the Tanya Burr lipglosses. I love the shade just peachy. I feel this shade looks best with a tan. Finally, a lipstick. I normally like matte or cremesheen formulas by mac but in summer I strangely like the glaze formulas. I like the shade bubblegum which just adds a little something to your makeup. I have also featured the new Jack Wills Ditsy flip flops which will definitely be coming with me to America in summer. 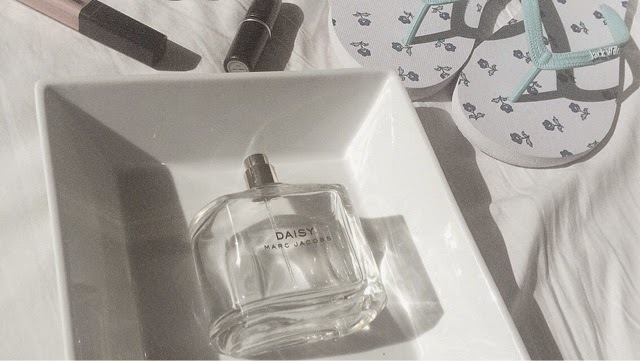 I love the Marc Jacobs daisy perfume also but these will feature in my 'Summer Essentials - Fashion' and 'Summer Essentials - What to pack' posts which will be coming in the next few months.